On March 22, David Marinick, Vice President of Honeywell (US) and his team visited Rifa Precision Machinery for exchange and investigation. On March 17 to 22, Anhui Rifa Textile Machinery held a professional training for customers of rotor spinning machine (RFRS30) . Air Xiya successfully passed the three international management system certifications of “Quality, Environment, Occupational Health and Safety”. Anhui Rifa Textile Machinery Co., Ltd. was awarded the title of “2018 Industrial Business Income Top 20 Enterprises” and “2018 Technology Innovation Top Ten Enterprises” in Maanshan Economic Development Zone. On the morning of January 30th, “2018 Annual Meeting of Rifa Group and the 2019 New Year Meeting” was held in Hangzhou Xinxin Hotel. Rifa Precision Machinery has always been focusing on its segment markets with a full product line of machine tools to offer,leading both the wheel hub market and bearing market. It is the only enterprise in China that can provide a full product line of machine tools. Top 10 Enterprise with the Highest Output Yield of Numerical Control Machine Tool in domestic machine tool industry. Top Ten Enterprise with the Best Overall Economic Performance. Top Ten Enterprise of Independent Innovation. Core Mission: provide safe, healthy, and organic products to customers.Establish an image of the most responsible enterprise and the most trustworthy brand. The company harbors the best experts in equestrianism and horse industry, and has built closed cooperative relationship with Chinese Equestrian Association, China Agricultural University, the Equestrian Center of General Administration of Sports of China, British Equestrian Association, and German Equestrian Association. Substantial cooperation in various areas has been carried out. Build Rifa Aviation Industry Group through the full integration of industrial chain with cluster development. Air Xiya Helicopter Aviation Co., Ltd was established in Xinjiang in September, 2014. It is aimed to build a ‘new silk road in the air’, so as to facilitate national west development, and realize the development goal to build 30 aircrafts in five years. Rifa General Aviation (GA) will invest and acquire other general aviation companies with advantages in technology, talents, and resources. It will strive to build an industrial group with organic interactions among the ‘eight parts’ in this industry. Adhere to the model of Investment + Service/Adhere to the strategy of industrial chain investment. /Adhere to the principle of value investment. /Adhere to the investment culture of sticking together with local MSEs through thick and thin, and walk side by side with MSEs. 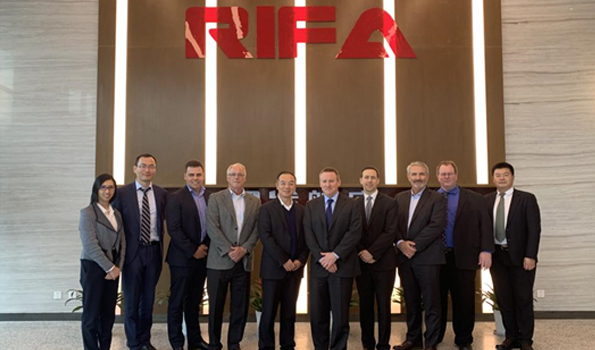 Rifa Holding Group is a large private joint-stock conglomerate, with its headquarters sitting close to the gorgeous West Lake in Hangzhou, China. Since its establishment in 1993, it has been focusing on high-tech sectors, and holding fast to the operational ideology of Digitalization, Informationization, Agility, and Internationalization. With revitalizing national industry as its own responsibility, Rifa is committed to improve traditional industry through high-tech and continuous innovation. 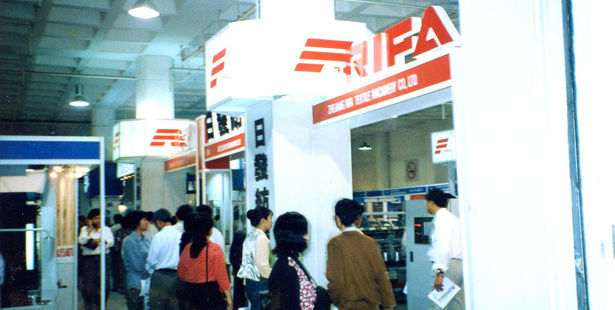 It is a frontrunner in high-end textile machinery and CNC machine tools sectors.Rifa has entered into six sectors including textile machinery, precision machinery, agriculture and animal husbandry, cultural and sports industry, general aviation, and financial investment. ●Rifa Group has finished the buy-out of Airwork Holdings, the largest general aviation company in New Zealand, and has successfully completed the final share deliveryon December 1. ●On April 2nd, the first-stage project of Rifa Textile Machinery Intelligent Equipment Industrial Park (Meizhu) was completed and the relocation work was officially launched. ●On July 5th, Zhou Guohui, Director of Zhejiang Department of Science and Technology, lead officials of Science and Technology Bureau and Xinchang County government to visit and Rifa Textile Machinery and Rifa Precision Machinery Industrial Park. 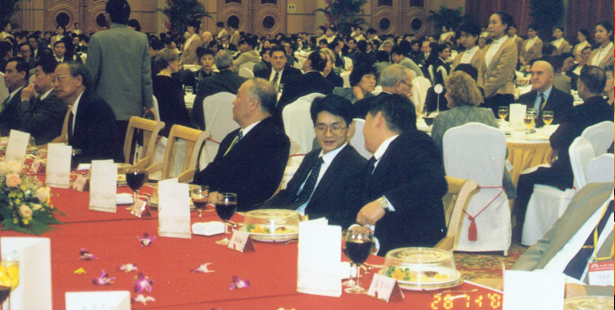 He Xuping and Wang Benshan, chairman of the respective companies, took part in the reception. ●On August 4th, Rifa Group’s Horse Show “Troy” premiered at Bird's Nest stadium in Beijing. ●On August 21st, the airbus assembly platform project of Rifa Precision Machinery had its first A330 aircraft in the project. ●On December 1st, Italian Industry 4.0 facilitating Made in China 2025——the first Italy-China Machine Tool Forum was held in the Italian Embassy in Beijing. Mr Wang Benshan, chairman of Rifa Precision Machinery, was invited as the only individual enterprise representative, and delivered a report titled “The development trend of numerically-controlled machine tool and industrial automation”. ●On December 6th, the listed company Rifa Precision Machinery announced a significant assets reorganization and stock suspension. ●On December 18th, “Textile Vision”2017 China National Textile And Apparel Council (CNTAC) Science and Education Awards Conference was held in the Great Hall of the People. Rifa Textile Machinery was honored several awards: 1. 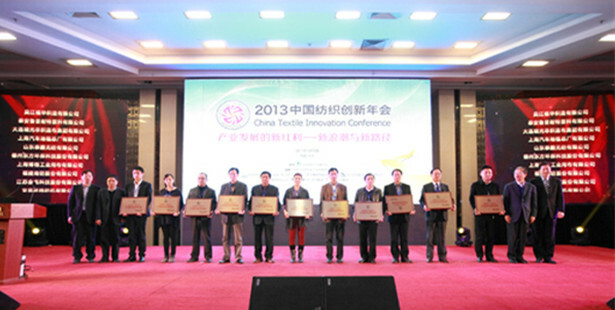 Zhejiang Rifa Textile Machinery Co., Ltd was awarded as “Innovative and Demonstration Enterprise in Textile Technology”; 2. 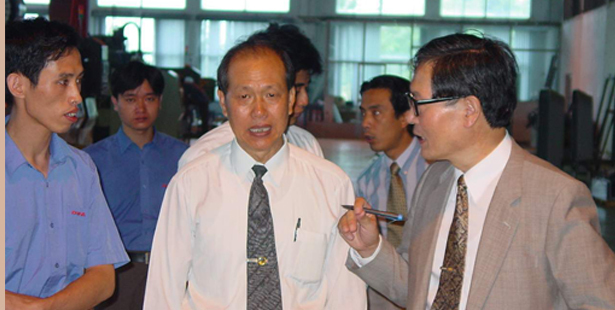 He Xuping, chairman of Rifa Textile Machinery was awarded “National Textile Technology Innovative Entrepreneur Personnel”; 3. the patent “A circular knitting for underwear waist” of Rifa Textile was awarded “Excellence Award of Chinese Textile Industry Patent Award”; Rifa Textile Machinery’s "RS30C semi-automatic rotor spinning machine" won the third prize of "CNTAC Science and Technology Progress Award"! ●On December 18th, Air Xiya CCAR-135 Operation Certification Granting ceremony was held in Hilton Hotel in Urumchi. ●On December 29th, Rifa Group issued its No.9 Document. As approved by the 21st extraordinary meeting of the sixth session of the Board, the Investment Department and the Overseas Investment Department will be merged as the Group's Strategy and Industry Development Department (Strategic Development Department for short). ●The foundation laying ceremonies of Rifa Smart Textile Machinery Industrial Park and Aviation Equipment Industrial Park were held in Meizhu Industrial Park. ●At the invitation of Kazakhstan Agriculture Minister Mamytbekov Assylzhan, Chairman Wu Jie, with his delegation, attended the KZ First Forum of Meat Industry Investment in the capital city of Astana. ●Shadow Knight Culture Communication Ltd was registered in the Market Supervision and Administration Bureau in Xihu District of Hangzhou. ●Wuyu Investment Ltd. was registered in the Market Supervision and Administration Bureau in Xihu District of Hangzhou. ●Rifa Jair Investment Ltd. was registered in the Market Supervision and Administration Bureau in Xihu District of Hangzhou. Rifa Jair Holding Ltd. and Rifa Jair Ltd. were registered in Hong Kong Special Administrative Region. Rifa Jair Machinery Manufacturing Ltd. was registered in the Market Supervision and Administration Bureau in China (Shanghai) Free Trade Pilot Zone. ●MCM, a holding subsidiary of Rifa Precision Machinery, won a 150mn order from Airbus. ●Rifa Salutary Australia extended its acquisition activities and acquired Middlebrook pastry with 60mn AUD. ●Shandong Rifa Textile Machinery finished its alteration in Industrial and Commercial Bureau, after which the contributor would be changed to a sole proprietorship of Zhejiang Rifa Textile Machinery Co., Ltd.
●Anhui Rifa Textile Machinery Industrial Park was completed and put into operation. ●14th CIMT China International Machine Tool Exhibition began on April 20, 2015 in Beijing. Rifa Precision Machinery and its four subsidiaries ---Rifa Aviation Equipment, Rifa Newland, Rifa MCM, and Colgar---attended the exhibition. ●Air Xiya was successfully issued the CCAR-91 certificate. ●Rifa Aviation Equipment passed the qualification authentication of State High-tech Enterprise. ●Rifa Precision Machinery acquired Colgar SPA. ●In 2015, Shandong Rifa Textile Machinery celebrated its ten-year anniversary. ●Rifa Precision Machinery established Zhejiang Rifa Aviation Digital Equipment Ltd.
●Rifa Precision Machinery was awarded CCMT 2014 China Numerical Machine Tool Exhibition CHUN YAN Award. ●Rifa Precision Machinery signed equity acquisition agreement with MCM, Italy. ●Zhongbao and RIFA celebrated 2014 Mid-Autumn Festival . ●Anhui Rifa successfully delivered first batch RF310 textile machines. ●The first smart towel plant in Shandong Rifa Science Park was officially put into operation. ●RIFA Group successfully held 20th anniversary event. ●A helicopter from Rifa Group assisted CCTV in an aerial-filming live report on the largest herdsman livestock movement in Xinjiang. ●Rifa Group successfully acquired a century-old pasture property in Australia. ●Rifa Mustang was granted as a Company Member of China Horse Industry Association Council. ●Rifa Textile Machinery was awarded 2013 Annual Product Development Contribution Award by China Textile Industry Association. ●RIFA Precision Machinery cooperated with Zhejiang University on Honeycomb Processing Equipment. ●RIFA Salutary Animal Husbandry Co., Ltd was established. ●Zhejiang Rifa Newland Machine Tools LLC was established. ●RIFA Salutary Wujiaqu Animal Husbandry Co., Ltd. was established. ●RIFA Mustang Equestrian Co., Ltd. (Beijing) was established. ●The project of Shandong Rifa Modernized Textile Machinery Science Park was officially. ●Rifa Holding Group started the West Development strategy. ●Rifa Textile Machinery was selected as Xinchang Top 10 Innovative Enterprise by Xinchang government. ●Rifa Digital participated at the 12th China International Machine Tool Show (Beijing Machine Tool Show), organized by CMTBA, and was awarded as 2010 Top 10 Enterprise of Independent Innovation (review) and 2010 Top 10 Enterprise with Best Overall Economic Performance. 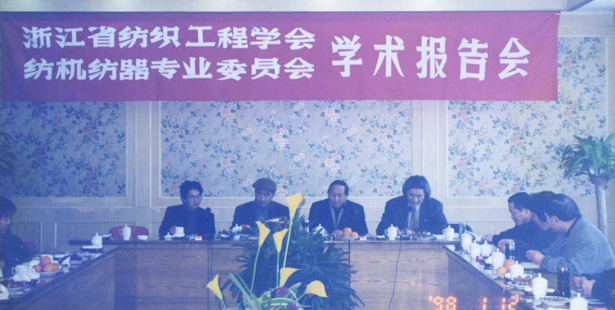 ●Chengdu Rifa Salutary Science and Technology Ltd was established. ●Rifa Precision Machinery (stock code: 002520) was successfully listed on Shenzhen Stock Exchange (Small and Medium-size Enterprise board), with the offering price of 35rmb/share. The first day opening price was 46rmb, closed up 31.49%. ●Rifa Digital was honored by CMTBA as 2009 Top 10 Enterprise of Independent Innovation; Top 10 Enterprise with Best Overall Economic Performance; and Top 10 Brand-building Enterprises. ●Textile and Apparel Weekly took a survey about user's favorite brand so as to choose the 2010 China Textile Machine Star, Rifa Textile Machinery was honored with the title of China Textile Machine Star. 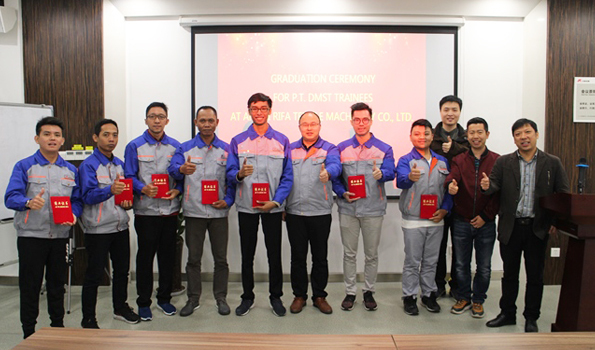 ●Rifa Precision Machinery was awarded as 2008 Annual Top 10 Enterprise with The Best Overall Economic Performance by China Machine Tool & Tool Builders' Association. ●Rifa Precision Machinery was again awarded as the Brand-building Enterprise honored by CMTBA. ●Rifa Precision Machinery participated in the 11th China International Machine Tool Exhibition CIMT2009. The RFMP12035 Moving Beam Gantry Machining Center was a highlight of this exhibition. 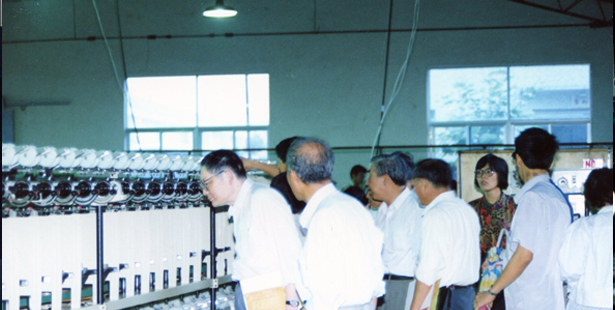 ●The first batch of three seamless knitting machines of Rifa Textile Machinery was well delivered. ●The R&D and industrialization effort of Rifa Textile Machinery on the automatic rotor spinning machine was included in the State Support Plan of Science and Technology Department. ●The first domestic-made automatic rotor spinning machine developed and produced by RIFA Textile Machinery was delivered to the customer in Zhejiang. 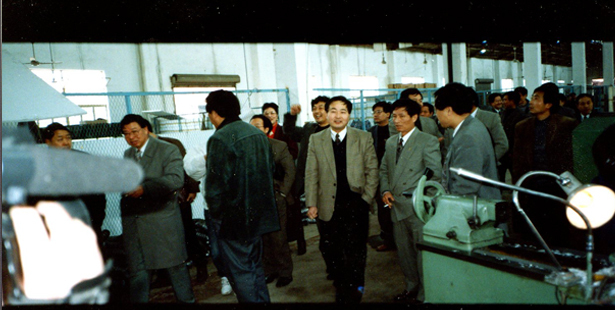 Since then, the first domestic-made automatic rotor spinning machine was put on the market. ●Rifa Textile Machinery was once again honored as Key High-Tech Enterprise for National Torch Program after review. ●Mr. Wu Jie, president of Rifa Holding Group, was awarded as 2007 Annual Outstanding Private Entrepreneur of Zhejiang by Zhejiang CPEA and Private Economy Committee of Experts. ●According to Notice on Listing 309 Enterprises Including Hundsun Electronics Co., Ltd. in The Second Batch of New High-tech Enterprises in 2008 (ZKFG  No. 314) jointly issued by Science Technology Department of Zhejiang Province, Zhejiang Provincial Department of Finance, Zhejiang Provincial Office, SAT and Zhejiang Local Taxation Bureau, Zhejiang RIFA Textile Machinery Co., Ltd. and Zhejiang RIFA Digital Precision Machinery Co., Ltd. were listed in the second batch of new high-tech enterprises. ●Rifa Holding Group was awarded by Shaoxing Municipal People's Government as 2007 Advanced Organization of Charitable Donation. 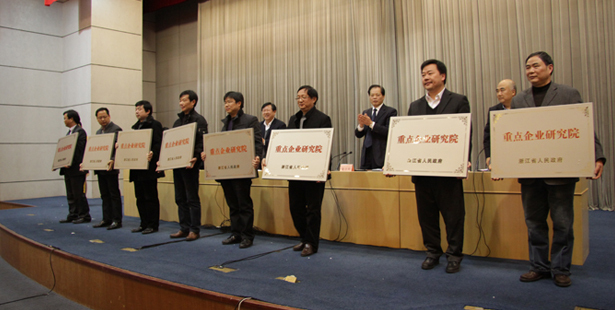 ●Rifa Holding Group was honored as Garden-Style Organization by Shaoxing Municipal Afforestation Committee. ●Rifa Precision Machinery Vertical Processing Center was honored as State Inspection Exemption Product by AQSIQ. ●Zhejiang Rifa Holding Group was awarded as the 2005 Provincial Patent Demonstration Enterprise by Zhejiang IP Bureau and Zhejiang Economic and Trade Committee. ●Rifa Precision Machinery was honored by CMTBA as Top 10 Enterprise with Best Overall Economic Performance. ●Rifa Precision Machinery was honored by CMTBA as 2006 Top 10 Enterprise with Best Overall Economic Performance in China's Machine Tool Industry. ●Hurun Philanthropy List 2006 was released in Beijing. 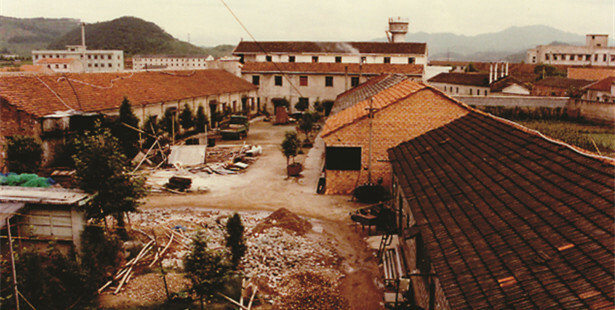 Zhongbao series of company groups was on the list for three consecutive years. 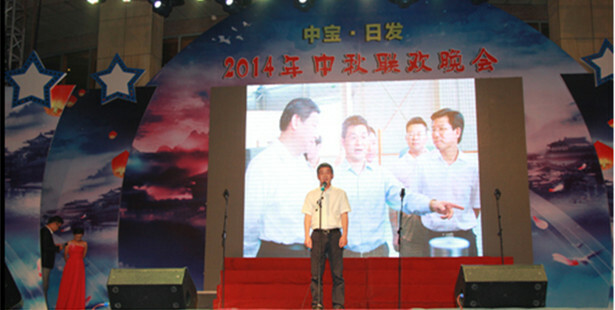 Wu Jie, Group CEO, was elected in honor as Shaoxing Model Worker. ●RFMV80 Vertical Machining Center, independently designed and developed by Rifa Precision Machinery, won a silver award at 2006 Zhejiang Industrial Design Grand Prix Competition. 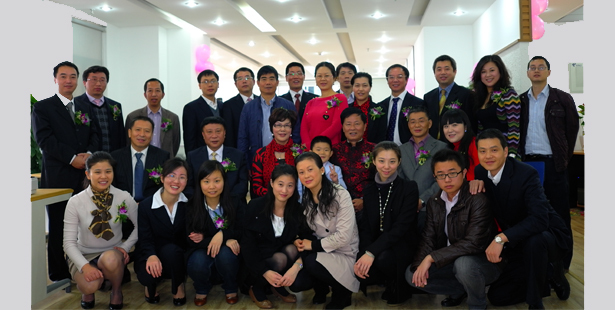 ●Rifa Holding Group was honored as Shaoxing Advance Collective of Caring and Hardship Aid for Next Generation. ●With an investment of RMB 250 million, Rifa Digital Science and Technology Park (phase I) was officially completed and put into operation. Subsidiaries of Rifa Holding Group, including Rifa Textile Machinery, Rifa Precision Machinery, Zili Machinery, Science and Technology Park Development, and Zhongbao Industry Holding, all moved into this park. 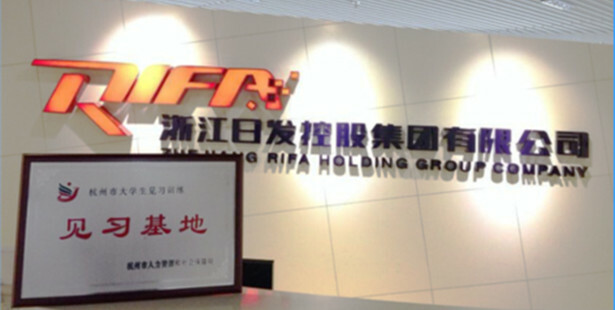 ●Headquarters of Rifa Holding Group was relocated to Hangzhou. ●The Group successfully acquired Liaocheng Changrun Textile Machinery Co., Ltd.
●Zheijiang Rifa Textile Machinery Co., Ltd was honored by the Ministry of Science and Technology as State Key Hi-Tech Enterprise. ●The Group's provincial-level R&D center---Zhejiang Automation Equipment R&D Center---was awarded by The Communist Youth League of Zhejiang Provincial Party Committee of Provincial Youth Civilization Organization. ●Successfully developed RF air-jet loom with world-class quality, turning a new chapter for domestic high-end air-jet loom industry. ●Rifa Digital Science and Technology Park (Phase I), covering 1,000 mu (1mu=0.0667 hectares), was officially put into operation, with a total investment of 500million RMB. ●Zhejiang Rifa Holding Group Co., Ltd was established. ●Rifa Shanghai Science and Technology Park (Phase I) started to operate, with a total investment of 300mn RMB. 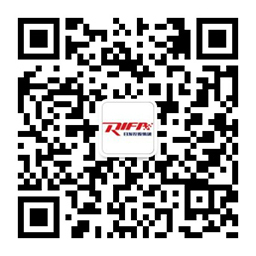 ●Established Shanghai Rifa Digital System Ltd, focused on the R&D, and manufacturing of automatic production line for bearing products. ●The semi-automatic production line of bearings, successfully developed by Shanghai Rifa, is the first one to use interconnects technology in China. It made online examination and real-time remote control technology a reality. 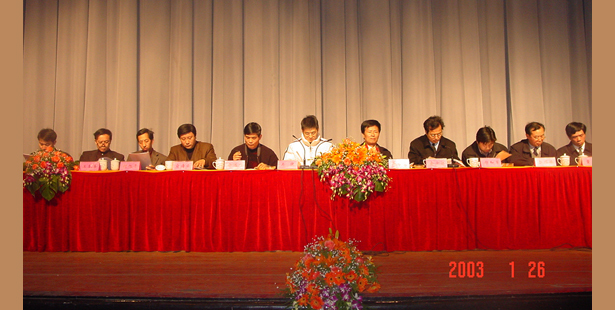 New product launch event was held in March 2000. ●Zhejiang Xinchang Rifa Precision Machinery Ltd was established (predecessor of Zhejiang Rifa Digital Machinery Co., Ltd.). ●Zhejiang Rifa Textile Machinery and Zhejiang Xinchang Precision Machinery successively passed the IS09001 certificate of quality system. ●Rifa textile machinery successfully developed rotor spinning machine. With a rotor speed of 90,000 n/min and semi-automatic joint technology, the machine blazed the trail in domestic market and was launched in Beijing Textile Machinery Exhibition in Oct, 2000. ●Rifa conducted enterprise restructuring. Rifa Group was established. A new model of Group virtual operation was established. ●Rifa moved to Zhongbao Industrial Park. ●Rifa realized an output of 420 million RMB, ranking the second in the industry. The company was awarded as Provincial and Regional Hi-Tec Enterprise. ●Rifa realized an output value of 320 million RMB, ranking the third in the textile machinery industry nationwide. ●Rifa Textile Machinery attended China International Textile Machinery Exhibition for the first time. 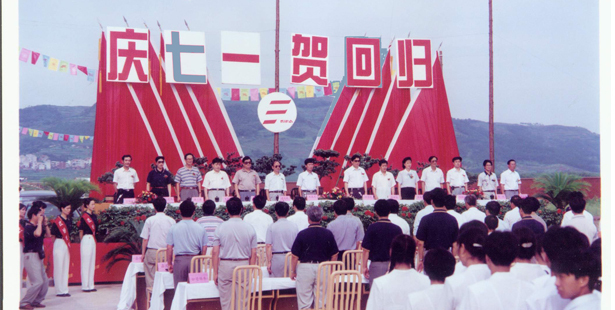 ●August, 1993, Zhejiang Rifa Textile Machinery Co., Ltd was founded. During the first year of its establishment, Rifa designed and manufactured China's first two-for-one twister, transforming from simply producing a single product to a complete twister system. It fully replaced imported equipment, and made Rifa a leader in two-for-one twister market.